Continuing our collaboration with the APSA Political Economy newsletter, today we present the final of four obituaries of prominent political economists who recently passed away, with George Mason University political scientist Paul Dragos Aligica writing on Nobel laureate Elinor Ostrom. The Ostroms began in the 1960s with a theory of collective action based on a theory of goods, a theory that was emerging at that time from the mantle of neoclassical economics as a major building block of the new, modern political economy. In time, their work on governance created one of the main channels of the transition from public choice to the new institutionalism. The fact that Elinor Ostrom was a recipient of the 2009 Nobel Prize in Economics was a telling recognition of Bloomington School’s important contributions. Yet, in the celebratory and retrospective mood created by such honors and public recognition, it is important to note that the Bloomington agenda is far from making its closing arguments. In fact, Elinor Ostrom’s work remains an enterprise of unassuming radicalism that persistently invites us to reconsider the very foundations and significance of our scientific efforts. Following the logic of institutional diversity, social heterogeneity, and value pluralism to their epistemic and normative implications, Ostrom’s work both closes a cycle of research on collective action, institutions, and governance and frames the next stage or the next cycle of research. The depth and boldness of the Ostrom project are revealed when we single out the specific assumptions and perspectives it challenged. We should also take full measure of the way in which those challenges constitute a radical departure from powerful ideas that tacitly framed a vast part of modern political economy. The list of these tacit assumptions is long, but a cluster of related candidates rises to the top in any account: agent and institutional homogenization as a theoretical and methodological default position, centralization and monocentrism as key principles of governance, and “seeing like a state” as an acquired forma mentis in thinking about political and economic affairs. Let’s take these core assumptions that the Ostrom project challenged one by one. Continuing our collaboration with the APSA Political Economy newsletter, today we present the third of four obituaries of prominent political economists who recently passed away, with University of Wisconsin political scientist David L. Weimer writing on William A. Niskanen, Jr.
My first encounter with William A. Niskanen, Jr. was in 1973 at my graduate school orientation at the University of California, Berkeley. Although I cannot remember a word spoken that day by any of the other faculty members, I remember what Niskanen said verbatim: “My name is William Niskanen. I hold a B.A. from Harvard College and a Ph.D. in economics from the University of Chicago. Chicago won.” Indeed it did. Niskanen’s doctoral study in economics was followed by work as a policy analyst at the RAND Corporation, the Department of Defense, the Institute for Defense Analyses, and the Office of Management and Budget. He joined the faculty of the Graduate School of Public Policy at the University of California in 1972 and became the Chief Economist for Ford Motor Company in 1975 and briefly joined the UCLA faculty in 1980. He served on President Reagan’s Council of Economic Advisors until leaving to become chairman of the board of the Cato Institute. His training in economics and exposure to the deficiencies of bureaucracy during his early career as a policy analyst prepared and prompted Niskanen to write one of the classics of public choice, Bureaucracy and Representative Government. He first set out his thoughts on the topic in “The Peculiar Economics of Bureaucracy,” which was published in the American Economic Review in 1968, and later modified them in important ways in “Bureaucrats and Politicians,” which appeared in the Journal of Law and Economics in 1975. The standard approach of welfare economics at the time was to assume that government and its officers selflessly intervened to correct market failures. In Bureaucracy and Representative Government, Niskanen joined the emerging public choice movement in assuming that public officials acted upon self-interest. Throughout the book, the head bureaucrat seeks to maximize the budget allocated to the bureau by the “collective organization,” or budgetary sponsor, as a lump-sum payment for the output it produces. He began by assuming passive budgetary sponsors, but later allowed “officers” of the collective organization to act according to self-interest. Although the assumption of the budget-maximizing bureaucrat is today its primary intellectual trace in the political economy literature, the book is much richer in its treatment of bureau behavior, factor suppliers, and oversight by the budgetary sponsor. Analytically, it employs comparative statics to assess the relative efficiency of bureaus, competitive supply, monopoly (discriminating and non-discriminating), and nonprofits (discriminating and non-discriminating). It thus provides a systematic comparison of institutional arrangements, an approach that is now one of the strengths of modern political economy. Continuing our collaboration with the APSA Political Economy newsletter, today we present the second of four obituaries of prominent political economists who recently passed away, with Tufts University political scientist Daniel Drezner writing on Albert Hirschman. When Albert Hirschman passed away late last year there was an outpouring of testimonials from economists and political scientists (Economist 2012; Farrell 2012; Fukuyama 2012; Sethi 2012; Tabarrok 2012). At first glance, such a reaction might seem out of proportion to Hirschman’s record. There is no “Hirschman” school of thought in political economy. Indeed, he was not a paradigm-builder in any sense of the word, being somewhat dubious of paradigmatic approaches altogether (Hirschman 1970a). Hirschman did not turn out many Ph.D. disciples; according to first-hand accounts he was an abysmal teacher (Adelman 2013, p. 419). By the standards of economics, Hirschman was not particularly sophisticated in his methods or modelling. Krugman (1994) characterizes Hirschman’s Strategy of Economic Development (1958) as an “understandable but wrong” response to the failures of the economic development literature precisely because of the “discursive, non-mathematical style” of Hirschman’s effort. Nevertheless, Hirschman’s intellectual legacy is quite secure. The Social Science Research Council’s highest award is the Albert O. Hirschman Prize – which recognizes “academic excellence in international, interdisciplinary social science research, theory, and public communication.” A cursory glance at Hirschman’s citation count suggests that his influence on the social sciences is both wide and deep. He is already the subject of at least three book-length treatments of his intellectual legacy (Rodwin and Schön 1994; Meldolesi 1995; Adelmen 2013). How did Hirschman have such wide-ranging impact with such an idiosyncratic approach? Precisely because he was so idiosyncratic. Hirschman was unconcerned with paradigmatic or disciplinary boundaries, which enabled him to develop some of the key building blocks of how to think about political economy. Anyone working on issues of economic power, economic development or economic ideas cannot do so without either building on or tangling with Hirschman’s legacy. An exhaustive survey of his contributions would go far beyond these pages, but even a brief glance at Hirschman’s principal ideas advanced in his major works in political economy reveal the extent of his influence. For the past two years, we have featured a collaboration with the newsletter of the APSA Organized Section on Political Economy. This week we will feature the last contribution from the current editorial team of Scott Gehlbach and Lisa L. Martin. Their words are below, followed by the first contribution from John Nye of George Mason University. In this last issue of the Political Economist under our editorship, we pay tribute to four recently deceased giants of political economy: James Buchanan, Albert Hirschman, William Niskanen, and Elinor Ostrom. The Monkey Cage has generously offered to publish each of our four tributes. In the first of four posts, John Nye at George Mason investigates the contributions of James Buchanan to positive and normative political theory. Bill Clark at Michigan takes over as editor of the Political Economist with the next issue. APSA members should consider joining the Political Economy Section so that they have full access to future issues of the PE. Current members can download the Summer 2013 issue at this link, where in addition to the four tributes they will find an important essay by John Huber on the importance of not forgetting about theory as the “identification revolution” changes the way that political economists do empirical work. By the time James Buchanan passed away on January 9, 2013, the economic analysis of politics had attained a prominent, even central place, in both economics and political science. That these approaches have gone from being mostly neglected half a century ago, to becoming a major preoccupation of leading scholars throughout the world today, was in no small part due to the pioneering work of Buchanan himself, both alone and in joint work with various collaborators, most notably Gordon Tullock. Buchanan, who received the 1986 Nobel Memorial Prize in Economic Sciences, spent most of his career at three institutions: first at the University of Virginia, where he founded the Thomas Jefferson Center for Studies in Political Economy; then at Virginia Polytechnic Institute, where he founded the Center for Study of Public Choice; and finally at George Mason University, to which he moved the Center in 1983. Buchanan made fundamental contributions to both positive and normative political economy. His most influential work came from attacking the view of the state as a benevolent despot and substituting instead the principle that political actors should be modeled as favoring their private interests in much the same way that we model private economic agents. This idea was most influential in the research now known as public choice, but also in his work on the theory of clubs, and in his challenges to the neoclassical/Pigouvian approach to externalities. Continuing our on going partnership with the Comparative Democratization Section of the American Political Science Association newsletter, here is the second article we will post from the current issue of the newseletter. Interested readers are invited to download the entire newsletter – which is ungated – here. The article is written by UCLA sociologist Andreas Wimmer. This research note addresses the long-standing debate among constitutional engineers and comparative political scientists about which institutions represent the best “tools” for preventing conflict in ethnically divided societies. The most often discussed candidates are democracy, federalism, proportionalism or majoritarianism, and presidentialism or parliamentarism. By contrast, I show on the basis of systematic quantitative evidence that these institutions are not effective in preventing armed conflict or civil war. Rather, I argue, the underlying power configuration in a country is crucial to understand the conditions for peace. I rely on a series of previous findings (Wimmer et al. 2009), which represent the backdrop for the following analysis. Using the Ethnic Power Relations (EPR) dataset that codes politically relevant ethnic groups and their access to government power in all countries and years since 1945, this previous research has shown that two power configurations are particularly war-prone: When large, ethnically defined segments of the population are not represented at the highest level of government, armed rebellion in the name of excluded populations may emerge. Second, a high number of power sharing partners increases insecurity about future alliances and thus commitment problems in the present, making it more likely that competition between ethnic elites sharing power escalates into armed conflict. Such “infighting” between power sharing partners, however, is much less frequent than rebellions by excluded groups (20 vs. 90 armed ethnic conflicts fought in the world since 1945). The power configuration is operationalized with the number of power sharing partners and the percentage of the population excluded from representation at the highest level of government. In what follows, I show that political institutions do not affect these ethno-political power configurations in systematic ways and there is thus no indirect causal relationship between institutions and peace. Furthermore, these institutions also don’t show much of a direct effect on the probability of armed conflict—they don’t seem to provide strong enough incentives to steer the dynamics of political competition onto peaceful tracks. I conclude that rather than institutional engineering, prevention efforts should focus on the de-facto power configuration and try to foster inclusive government, whatever institutional form it takes. The next section evaluates whether political institutions affect the power configuration and thus indirectly also the likelihood of conflict. Section two discusses possible direct associations between institutions and conflict and section three concludes. Before I proceed, a note on the data sources is in order. For the ethno-political power configuration, I rely on the EPR dataset. Based on the expertise of several dozen country specialists, it lists all ethnic categories that are minimally politically relevant for each year and each country. For each of these categories, the level of access to and representation in the central government was determined for each year, using a series of ordinal categories: monopoly power, dominance, senior and junior partners in power sharing arrangements, regional autonomy, powerless and discriminated against (for details see the online appendix of Wimmer et al. 2009). For the present purpose, I will use a less fine-grained distinction between included groups and those excluded from central government power. The coding of the dependent variable is taken from the Ethnic Armed Conflict dataset (ibid. ), which is based on the Uppsala Armed Conflict Dataset (UACD) dataset and adds information on whether or not a rebel organization fights in the name of and predominantly recruits among a specific ethnic community. Given the topic of this essay, all following analyses are restricted to this universe of ethnic conflicts. To assess the impact of political institutions, I will use all the available datasets that have been assembled in the past decade: Gerring and Thacker’s (2008) coding for non-autocratic countries since 1945 (GT for short), the World Bank dataset on political institutions (Thorsten Beck et al. 2001) which starts in 1975 (WB for short), Polity3 for federalism from 1946 to 1994, and the Institutions and Elections Project data (Regan and Clark 2011) that covers all countries since 1972 (IAEP for short). Both the IAEP and the WB data contain very fine-grained codings of electoral systems and federalism and I will use several measurements that can be derived from their data. The Polity3 dataset has the advantage of the broadest coverage. Why does protest that starts in one country sometime spread to other countries? This is the question that motivates Cornell University political scientitsts Valerie Bunce and David Patel’s contribution to the most recent newsletter of the Comparative Democratization Section of the American Political Science Association (APSA) (and likely is keeping many, many political leaders around the world busy as well!). We are pleased to reprint their essay here, as part of our program of collaborating with APSA section newsletters, and will feature two more essays from the current newsletter in the coming days. A .pdf version of the newsletter, containing this article and others, is available here. It is far easier to explain why protests against authoritarian rulers erupt in one country than to explain why, in a few cases, these anti-regime mobilizations spread to other countries in the same region. While both processes require ordinary citizens and oppositions to surmount the familiar obstacles to collective action, which are particularly formidable in the case of authoritarian regimes, the second one introduces an additional constraint. If oppositions and their allies are emboldened by the protests that have erupted in neighboring countries, so authoritarian leaders are quick to draw lessons from these dangerous precedents and take preemptive action. Just as these leaders have significant resources at their disposal to block diffusion, so they have strong interests in doing so because their jobs, financial interests, legacies and even lives are at stake. The purpose of this brief article is to confront the puzzle of why protests against authoritarian rulers spread across state boundaries by comparing three cross-national waves of anti-regime mobilizations. The first is the ongoing protests in the Middle East and North Africa (MENA), and the second is the rapid-fire spread of popular challenges to communist party rule that occurred in the Soviet Union and Eastern Europe from 1989 to 1991. Our final case is the color revolutions in postcommunist Europe and Eurasia from 1996 to 2005. 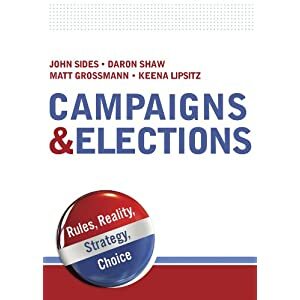 In this wave, oppositions and their allies in a group of competitive authoritarian regimes used a similar electoral toolkit in order to mount sophisticated challenges to authoritarian incumbents or their anointed successors. While all three waves involved the cross-national diffusion of large-scale popular challenges to authoritarian rulers, they differed with respect to the key drivers of diffusion. In 1989 as in the Arab uprisings, the process was largely driven by demonstration effects; that is, the ability of protest precedents set elsewhere in the region to encourage oppositions and their allies to mount similar actions. By contrast, the color revolutions were the product of more deliberate actions on the part of transnational networks that were committed to the electoral defeat of authoritarian rulers. Due to space limitations, we will focus our comparison on one less commonly analyzed aspect of diffusion: the movement of the innovation (in our case, a new repertoire of mass behavior) from its point of origin to a country that is well-suited to project the protests to a large number of countries within the region. Thus, we are interested in the transition within each of these waves from what promised to be at best a geographically limited process (given the constraints noted above) to one that invites widespread participation. The first countries to make a formal break with communism in 1989 were Poland and Hungary, where roundtables between communists and the opposition in the first half of that year were held in order to design the deregulation of the communist party’s political monopoly. Given the combination in these two countries of a ripened opposition, soft authoritarianism, unusually blurred lines between the opposition and the communists, and a severe economic crisis, Poland and Hungary were ideally situated to capitalize on the political openings provided by the Gorbachev reforms and the subsequent spread of protests throughout the Soviet Union, as well as in Yugoslavia. However, precisely because of the distinctive aspects of these two regimes in comparison with their neighbors, it was logical to assume that Finlandization—that is, the creation of islands of more liberal political orders that would not rock the regional communist boat—would be the result of these roundtables. Instead, Poland and Hungary took on the unexpected role of serving as “early risers” within a much larger diffusion dynamic. This occurred because of the surprising outbreak of large-scale protests in East Germany in the late summer and early fall of 1989. Motivated by recent events in the Mideast and elsewhere, the current issue of the Political Economist looks at autocracies: how they are governed, how they fall, and what comes after. Continuing our relationship with the Monkey Cage, which has generously offered to make select content available to readers who are not section members, we are happy to provide the following essay by Milan Svolik, who examines the role of the military in authoritarian regimes. Members of the section may log in to APSA Connect to download the full newsletter, which also includes essays by Georgy Egorov and Konstantin Sonin (“Authoritarian Politics 101: Examples and Exercises”), Adam Meirowitz and Joshua Tucker (“Formal Models and Political Protests”), and Scott Radnitz (“What to Read: Revolutions”). The popular uprisings that have recently swept across the Middle East have brought down some of the most entrenched and repressive authoritarian regimes in recent history. A key actor in these uprising have been these regimes’ own militaries. 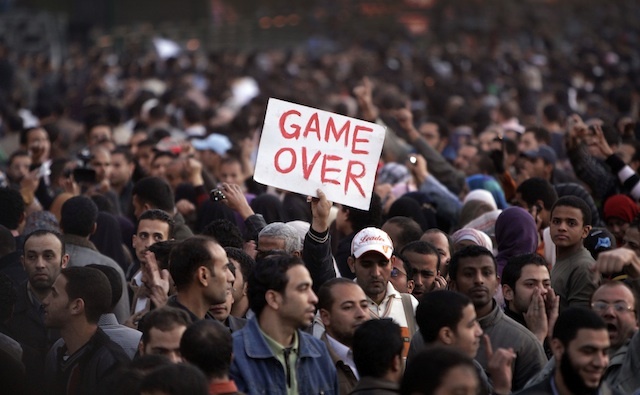 In Tunisia and Egypt, their refusal to quell the uprisings quickly sealed their leaders’ fates; in Libya and Syria, their initial loyalty to the leadership resulted in protracted, violent confrontations between the rebels and the regimes; and in Bahrain, 1,200 troops from neighboring Saudi Arabia saved a crumbling monarchy. Why did soldiers stick with some dictators and break with others? In this essay, I suggest that the political position that militaries take during mass, pro-democratic uprisings is critically shaped by their role in authoritarian repression. While everyday repression in Middle Eastern dictatorships – as in most dictatorships – has been handled not by soldiers but instead by the police and specialized internal security agencies, these repressive agents simply do not have enough personnel, equipment, or training to suppress an uprising of several tens of thousands of protesters. Soldiers, therefore, are any dictator’s repressive agent of last resort. Yet dictators are wary about relying on their militaries for repression. They understand that involving their militaries in the repression of internal opposition entails a fundamental moral hazard: the very resources and privileges that enable soldiers to suppress the regime’s opposition also empower them to act against the regime itself. Consider the recently ousted Tunisian President Zine El Abidine Ben Ali, who fled into exile in January 2011 amidst widespread protests against his government. Like his predecessor Habib Bourguiba, Ben Ali relied for repression on internal security forces rather than the military (Ware 1985, 37). Both presidents deliberately kept the Tunisian military small, underequipped, and out of politics, fearing that a politically indispensable military might turn against them (Nelson 1986, Chapter 5). In Tunisia, military personnel were prevented from any political association, including membership in the regime-sanctioned Socialist Destourian Party (renamed the Constitutional Democratic Rally party under Ben Ali), and both leaders maintained the exclusive power to promote military officers (Ware 1985). When members of the Tunisian military attempted to participate in the ruling party’s congress in 1979, Bourguiba refused to attend and dismissed the defense minister (Nelson 1986, 290).